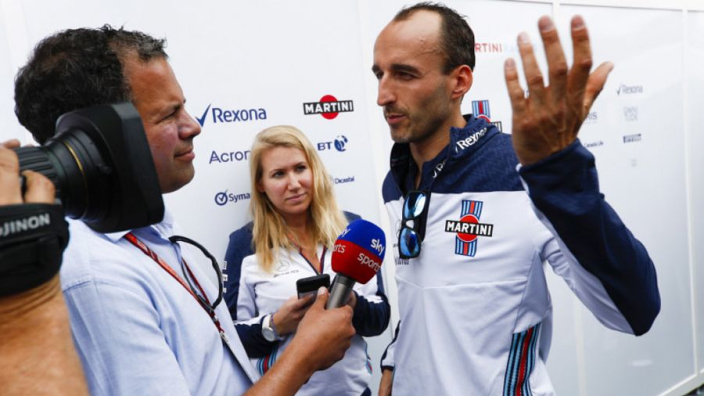 Robert Kubica has confessed that he views himself as a "rookie" heading into the opening Grand Prix of the 2019 Formula 1 season in Australia, as he completes his comeback from a career-altering injury which cost him part of his forearm back in 2011. The Polish driver was viewed as a promising talent in his early years in F1 and even has a Grand Prix victory to his name which he earned in Canada in 2008. The injury, which occurred during a rally car accident, derailed his career and it was speculated at the time that he would never be able to perform in Formula 1 again. However, after over a dozen reconstructive surgeries he started to regain his strength enough to mount a comeback, which will come to fruition this upcoming season. Despite his years of experience, his time out has left him feeling like the new kid on the block. "In Australia, I am more like a rookie driver than one who has already done five seasons," Kubica told Motorsport.com. "The reason is because F1 has changed so much. F1 has always been changing and if you compare the cars from the start of the 2000s to the end, they are completely different. "I have to work hard and I'm looking forward to the challenge but also I'm looking forward to finding the natural way of driving that I had in the past - when you are in the car often, racing every 10 days or so. "Everything should come as naturally as possible, you don't have to look for it and it's all natural." ????? Psst, testing gets underway next month! Kubica does believe that, even though physically and engineering-wise things have changed in the sport, he hopes his previous experience can help him deal with the mental aspects. "What is helping me is that I lived this sport on such a high level, so I experienced what it means to be an F1 driver and what it means to race against the top drivers," the Pole continued. "I hope that this experience will help me to achieve the levels which I would like to and this is the goal. "My feet are on the ground and I know what is coming next is a big challenge from a sports point of view. Being in F1 among 20 F1 drivers is a big honour but also a tough job, so there is a big challenge in front of me. "All I care about is my job and what I am doing, there will always be someone judging you and in different ways." After being a reserve driver last year for WIlliams, he will now start on the grid alongside young star, George Russell.